I have visited the UAE several times and on my recent trip to Abu Dhabi I really wanted to stay in a hotel close to the Grand Mosque – one of my favorite sights ever! I think the Grand Mosque – also called the Sheikh Zayed Mosque – is the best landmark in Abu Dhabi and so I booked a two-night stay for me and my cousin at one of the top hotels in Abu Dhabi, the Traders Hotel by Shangri-La. 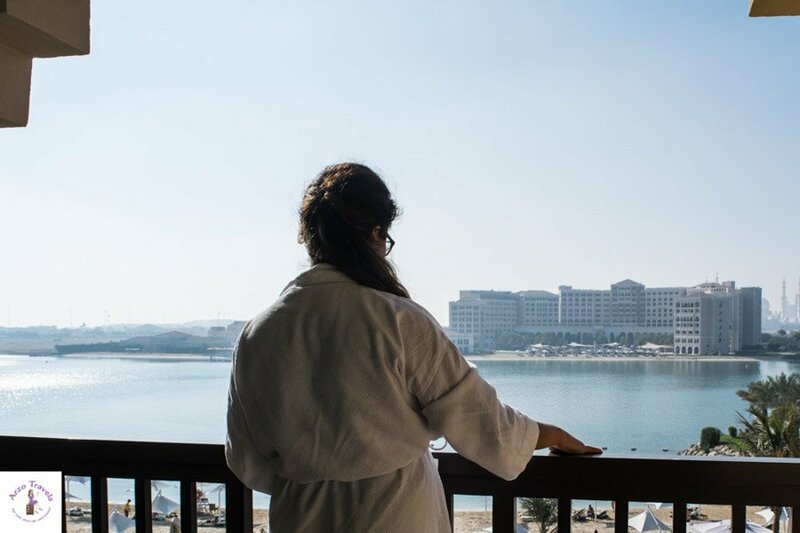 If you are looking for very beautiful, 4* accommodation with access to a beach and a good view of the main attractions in Abu Dhabi this might be the perfect choice so keep reading to find out about the Abu Dhabi hotel that could be just right for you. 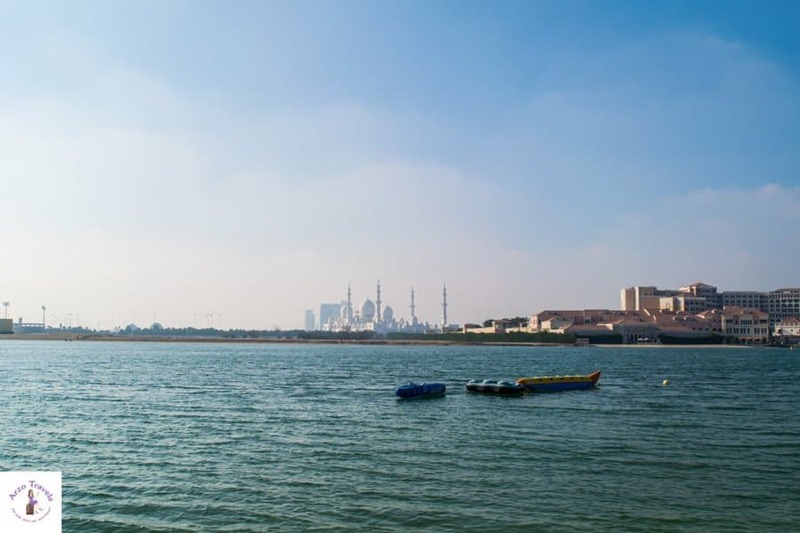 Wondering why to add Abu Dhabi to your UAE itinerary? Click here to read my top recommendations for things to do in Abu Dhabi. Traders Hotel is located in Qaryat Al Beri, one of the first areas of Abu Dhabi you will see if arriving from Dubai or the airport. The hotel boasts a beachside location and it is also close to the Grand Mosque which is the main sight-seeing point in Abu Dhabi. 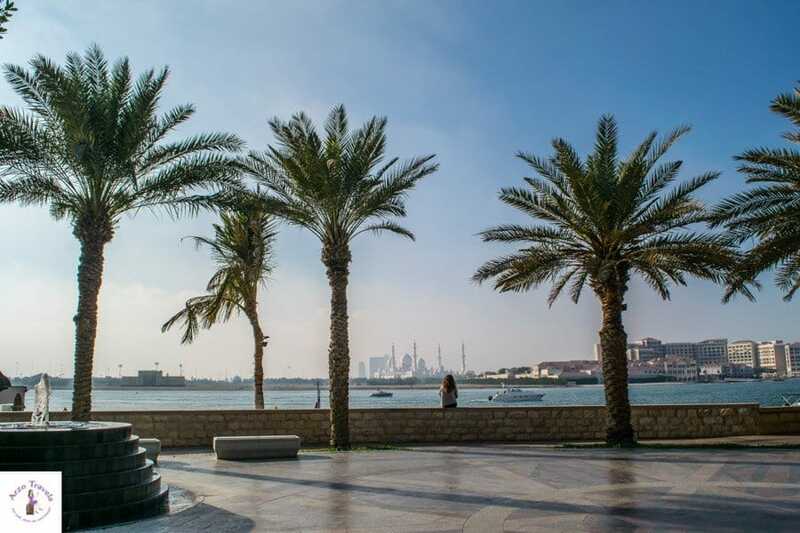 It is also about fifteen kilometers from other important landmarks like the Emirates Palace or Corniche which will cost you around twelve to fifteen € (about $9) to get there. We arrived at the hotel from Ras Al-Khaimah and I was surprised at just how colorful and how fun the hotel was. We stayed there over Christmas so there was a huge Christmas tree and some other Christmas decorations too. 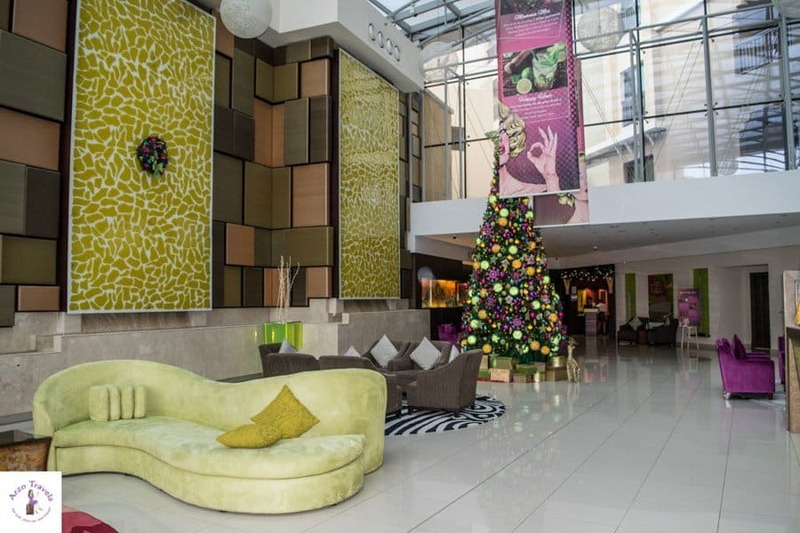 The hotel lobby is very big and bright – the furniture is really colorful making it a lot more stylish than a lot of hotels by Shangdi La. The check in was very quick and we hadn’t booked any breakfast so we were asked if we would like to and we actually only booked for one night. The Traders Hotel has about 300 rooms and suits and what is interesting to know, is that the hotel isn’t built upwards but spreads out instead. We had a superior room which was nice, clean and had a great view and a balcony which is always a plus. Of course, the hotel was clean and had everything we could need: bottles of water, tv, air conditioning, and everything else that you would expect from a four-star hotel in Abu Dhabi. As mentioned, we didn’t book breakfast when we booked the hotel but booked it when we arrived for about 25€ – and it was a nice breakfast. Served on the ground floor, it included warm hearty meals, a lot of sweet options, fruits, and you could also press your own fresh orange juice. You have the chance to sit inside or outside – and thus, enjoy a nice beach view, and the staff were very nice. Over all, it was definitely worth the money given the fact that Abu Dhabi is not necessarily cheap. The breakfast restaurant, Afyä, serves lunch and dinner as well but if you keep walking within the hotel complex (which is, as I mentioned, spread out) you will find many more restaurants in the Souk as well as cafes and bars so you will have a lot of options if you don’t feel like going out. Alternatively, if you want to just have a drink at the beach that is also possible as there are some bars right on the beach. 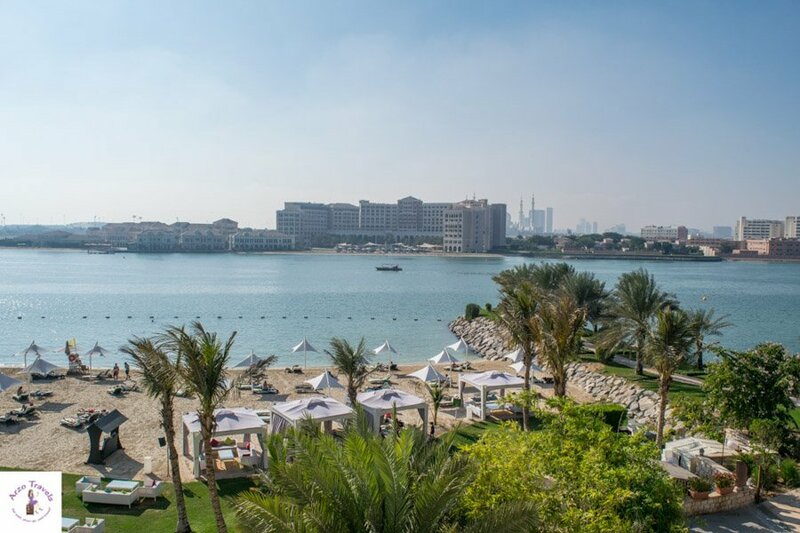 I personally really enjoyed the beach and pool section of Traders Hotel and though we didn’t stay at the hotel very much, we enjoyed the nice beach with a view of the Grand Mosque. I was pleasantly surprised when someone came immediately and brought us free water and of course, since it is a hotel beach it is just for people staying there so it didn’t feel crowded at all. 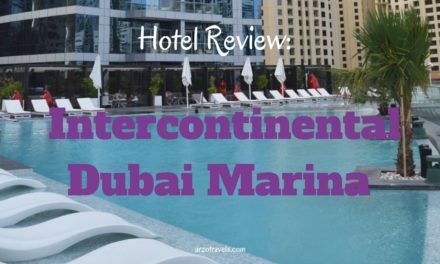 Afterwards we strolled towards the other end of the hotel which was a beautiful walk since there is a little canel and you could do an abra ride – it is quite cute and definitely quite romantic, so this is probably the perfect hotel for love birds or honeymooners in Abu Dhabi. 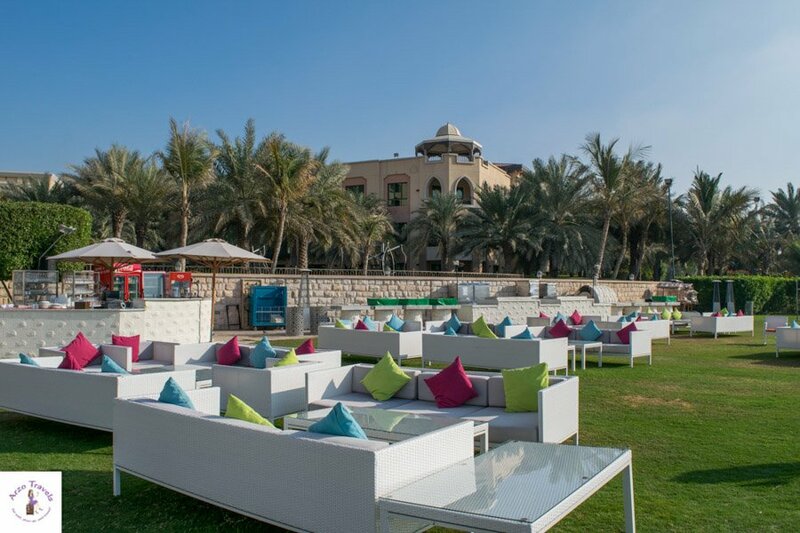 There are lots of loungers too, where you can lay back and just chill so it is a perfect place to relax, day or night. 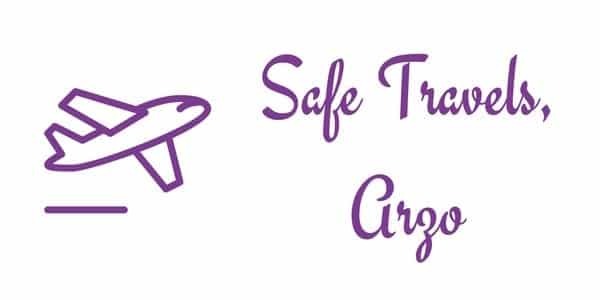 I also felt that the hotel was very family friendly and a great place to stay in Abu Dhabi with families with children as well as for solo travelers. If you walk from the lobby area to the other side you will also have the beautiful view of THE mosque. As mentioned, there is a Souk (or market) where you can buy clothes or souvenirs. There are also a number of supermarkets, bars, and cafes where you can sit outside and have nice views. The souks are quite expensive compared to what you can buy at other souks in Abu Dhabi. Despite this, it is still a lovely place to just walk around. I especially enjoyed it when it was very foggy, as it often is in Abu Dhabi in the morning, so then makes for a nice walk during the day. Is the Traders Hotel by Shangri-La in Abu Dhabi worth the money? We really enjoyed our time at the Traders Hotel. It is a very beautiful four-star hotel and as usual, the standard in Abu Dhabi and Dubai for hotels is quite high and this hotel was no different. The staff were friendly, it was clean, and there were plenty of options for things to do there so for these reasons it is one of the best hotels in Abu Dhabi. 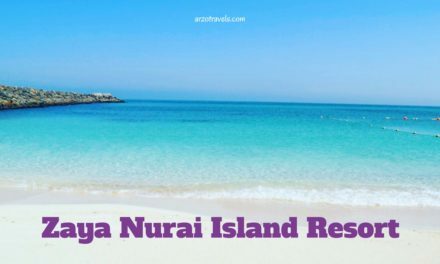 Although I personally enjoyed the location because it is close to the Grand Mosque, you should know that getting to other important landmarks might take some time and cost some money but if you enjoy staying at the beach then this is the perfect chance as you have the beach to yourself. Overall, I can definitely recommend staying at the Traders Hotel and it is a great place to stay in Abu Dhabi. 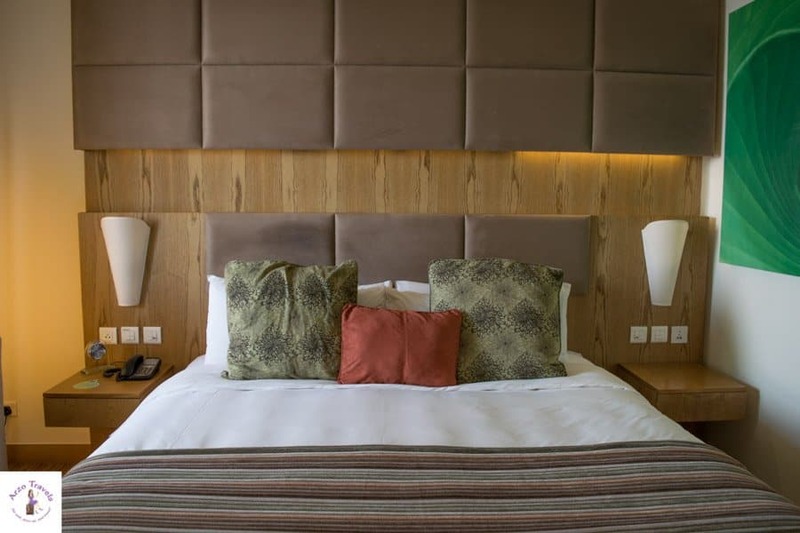 To read more reviews click here and find the best rates for your stay at Traders Hotel click here. Looking for other ideas on where to stay in Abu Dhabi? Then click here and find more great hotels in Abu Dhabi – for all budgets and all areas. Click here if you are looking for the most luxurious hotels in Abu Dhabi and Dubai. Only read this review out of curiosity and actually only plan a day trip to Abu Dhabi from Dubai? Then this post will help you organizing your one day in Abu Dhabi. 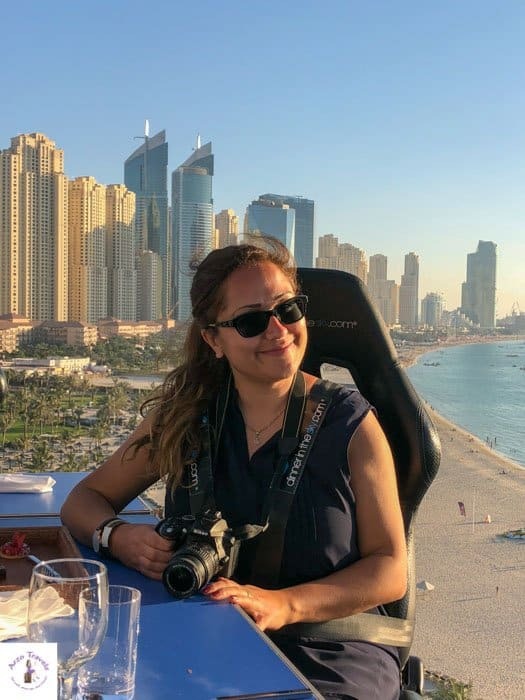 Find all my Abu Dhabi and Dubai posts here.